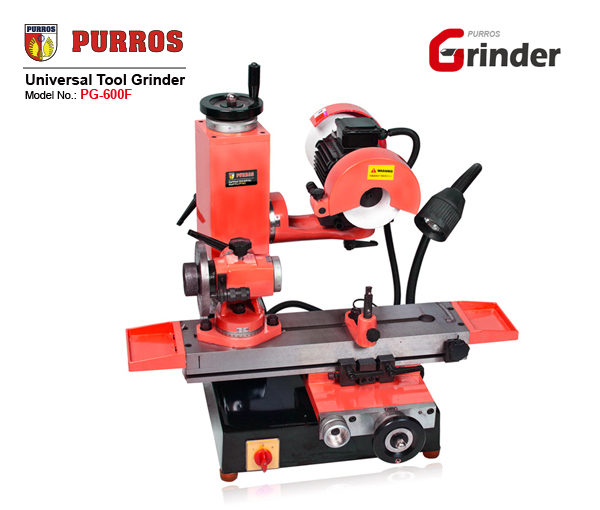 Universal Tool Grinder / Universal Cutter Grinding Machine Manufacturer & Supplier - Purros Machinery Co.,Ltd. FIND GREAT DEALS FROM PURROS MACHINERY FOR DRILL BIT GRINDING IN DRILL BITS. Amazing experiences on Drill Bit Grinder at Purros Machinery. Order quality grinders & low prices with confidence. Universal Tool Grinder has the power to restore dull and broken drill bits, cutters & tools easily! For end mill re-sharpening 2, 3, 4 number flute. Precision efficient, easy operation. Short processing time, grinding diameters are available. Welcome to visit PURROS MACHINERY CO., LTD. We are the one-stop solution provider for sharpening Drill Bits / End Mills / Screw Taps / Gravers / Tools / Cutters. The motor could be rotated in 360°, increasing the grinding range. With variety of option attachments (such as 50B, 50C, 50D, 50E, 50K, 50H, 50S, etc.) could be provided for different purposes, grinding fast with high accuracy. 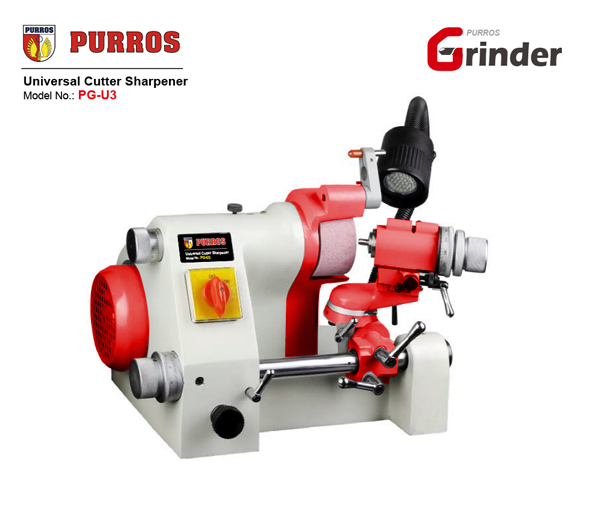 This is a smart universal cutter grinder; mainly used for Drills, Step drills, NC Drills, Screw Taps, Counter Sink Drills, End Mill Lips, Round Bars, and Gravers. Its main advantage is the sharpening graver. The portable electric drill bit grinder is a most popular grinder by our clients, with advantages such as convenient design, easy to operate, economical price, grinding fast and high accuracy, and low maintenance. End Mill Grinder can be used for grinding end mill and ball end mill, which grinding 2-flute, 3-fulte, 4-fulte end mills are available, two types of grinding wheel for choice: SDC and CBN. Screw tap grinder can be used to sharpen front angle freely, with Taiwan diamond wheel that keeps accurate angle after grinding and long service life, simple to set up, easy to operate. 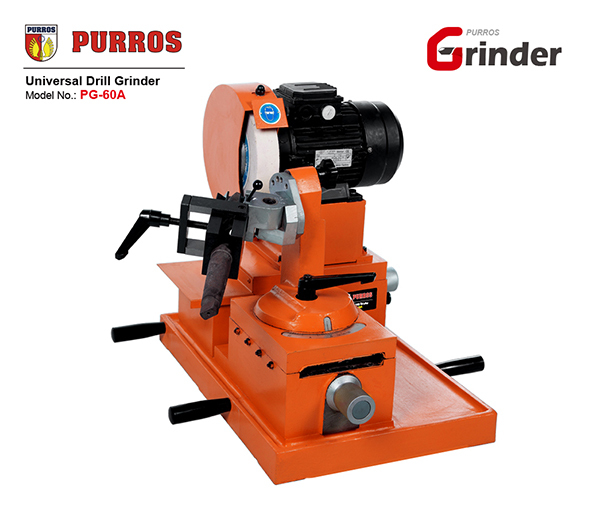 The ‘Grinder’ brand is the sub-brand of PURROS Machinery Co., Ltd., which is deeply trusted by clients, and it is known around the world in grinder industry. We have been focusing on the R&D of grinding machine over 12 years of experience, and designed more than 5000 grinders. More than 1200 clients have been served worldwide by our company, solved the key problems for our clients that grinding must be a highly skilled, and low accuracy by hand. Over 50 distributors worldwide, mutual benefit and win-win result is the business principle we insist on, shared values brought us together, and deeply rooted in the grinding industry. The global network provides clients with one-stop drill grinding solutions; good service wins a good business future. PURROS’s sense of worth: Make the grinding work easy, and to become a global leader in the grinder industry. Work together to create the future!